What are the pros and cons of choosing .com versus .org for a website domain name? The extension .COM is widely used for commercial purposes throughout the world. Companies prefer domain names .COM because they are a recognized symbol of a business and commercial presence. The domain name extension .COM became the most popular gTLDs (Generic top-level domain), and is used by the vast majority of registered domain names today. The domain extension .NET is most often used by websites, Internet service providers, web hosting companies and infrastructure of Internet-related businesses. It stands for "network" and is also accessible throughout the world. There are no restrictions on registering a domain with this extension, such as those for extensions .GOV and .EDU for example. Another common use for the domain name extension. NET are some of the companies who choose .NET for the intranet. .ORG (organization) and is also available globally. Sites of nonprofits, NGOs and trade associations are the most common users of this extension. Currently, is a tendency people starting businesses and registering domains with various extensions to ensure users have more than one way to access the desired domain (they can be redirected to the main domain, from one of the secondary domains). In addition, the generic top level domain .COM, .NET e. ORG are used for any purpose worldwide and there are no restrictions in their use (some others, such as .EDU and .GOV, need permission to be used). The important thing is: are you considering to choose a .NET, .ORG, because the .COM domain name is already registered by another person? That would be a huge con, considering you would be competing for users with the .COM domain owner. That's not a good idea. Also, people tend to assume that a domain name whose extension they don't remember is probably .COM. So, they will go for .COM and may end up reaching your competitor's website. - buy the .COM. and .NET domain name (consider buying other extension if you really wnat to have exclusivity). That will prevent futures problems. - find out in which of these groups your company/website fits: commercial (technology, products, services, e-business), non-profit, governmental, educational, other. In the long run, the purpose of having different domain extensions is to keep things organized, make easier for users to find what they are looking for. In theory, since today we have a large number of websites whose domain names don't exactly follow these "rules", if we can say so. .com = For commercial purpose, if you intend to create your own site for business point of view as well as to deliver your services. .org= Purely for Organization or Institution can be profit or non-profit. .net = If you business is based on information technology or digital world. .info = If your site is informational and you publish posts purely based on delivering info to your subscribers. 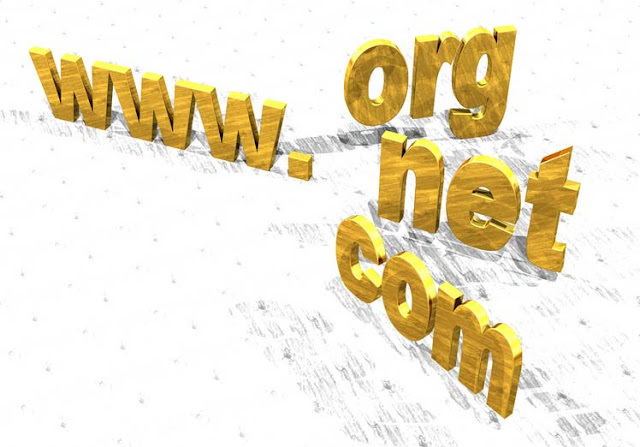 .com , .net and .org all top level domain so no need to worry about from domain name extension. Just focus on your website's quality content and SEO. ||ੴ||ਇੱਕ ਓਅੰਕਾਰ Satnam Shri Waheguru Ji A Web Blog about Product Review, Blogging Tips, Tech Reviews: What are the pros and cons of choosing .com versus .org for a website domain name?